Oilserv Limited, a leading Engineering, Procurement, Construction, Installation and Commissioning Company in Nigeria has been commended by the management of the Nigerian National Petroleum Corporation (NNPC) for its role in the development and advancement of the oil and gas industry in Nigeria, especially on the ongoing East-West Gas Pipeline Project (OB3 LOT B). The commendation came during an inspection site visit to the Gas Treatment Plant (GTP) site of the OB3 Project by the management of NNPC led by the COO, Gas and Power, Engr. Saidu Mohammed and the Managing Director of the Nigerian Gas Company (NGC), Engr. Tunde Bakare, recently. Also speaking, the Managing Director, Nigerian Gas Company (NGC) Engr. Tunde Bakare said: “From what we have seen so far, Oilserv has done very well. The Gas Treatment Plant (GTP) is massive with a capacity of two billion standard cubic feet per day (2bscf/d). What is left is just the piping work and we are sure that by September 2019 we will have the Vice President here to commission the project’’. The Chairman of Oilserv, Engr. Emeka Okwuosa while thanking the NNPC delegation for their commitment towards the project by making out time from their busy schedules to inspect the work said: “Oilserv with the support of the client – NNPC has demonstrated that such a huge project can be done locally. The project is quite a challenging one and Oilserv has always shown commitment in the process of executing this project from Engineering and Construction. 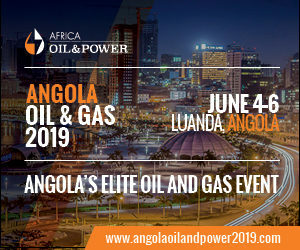 Speaking further, Okwuosa noted that Oilserv has since inception in 1992 remained a major player in the Nigerian oil and gas industry and has contributed immensely to the development of pipelines systems infrastructure in Nigeria, having executed various large and medium scale projects. He stated that the EPCIC firm is currently executing the biggest pipeline in Nigeria, the East-West GasPipeline Project popularly called OB3 Project (136km x 48 inch). Though an indigenous company, Oilserv has developed its capacity that has seen it operate in the space that used to be the exclusive of the international EPC companies and has earned a reputation for quality, safety and timely delivery of projects. According to Okwuosa, the company is responsible for the first Gas Distribution Network System built in Nigeria; The Greater Lagos Phase I, II, III and IV Gas Pipeline Project for Gaslink Nigeria Ltd. Adding that Oilserv has also executed and delivered many other projects using high quality and safety standards. 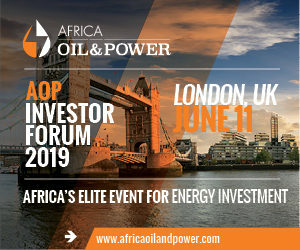 Such projects include the Alaoji Gas Transmission Pipeline System for Nigerian Gas Company (NGC), The National Integrated Power Project (NIPP) Lot 1 & 2 (Ihovbor, Egbema & Gbarain) for the Niger Delta Power Holding Company (NDPHC). Others are The Gas transmission Pipeline System for Geometric Power Aba Limited, the Akute Independent Power Project for Oando Gas and Power, Oron Gas Transmission Pipeline System for SEPTA Energy, The South South Gas Transmission Pipeline System for East Horizon Gas Company Limited, Complete Upgrade of Ikeja Metering Station for NGPTC just to mention a few.